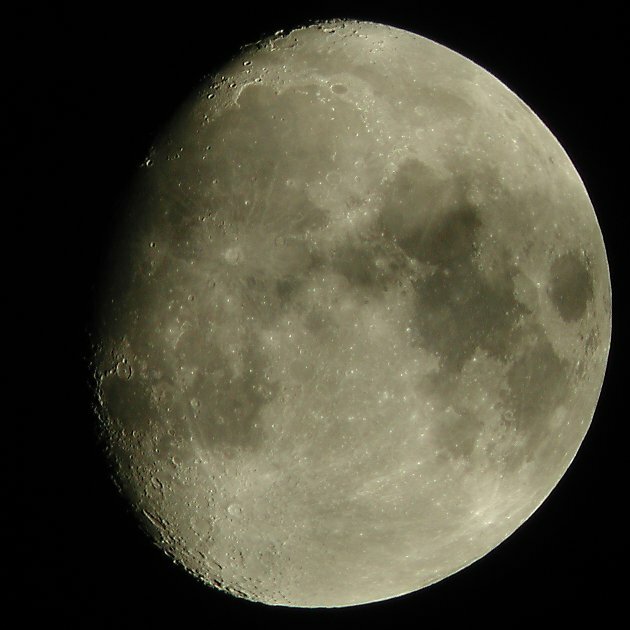 The above image is resized to one half of the Nikon Coolpix 990 camera resolution and cropped to 630 x 630 pixels. Full Nikon Coolpix 990 camera resolution image (195K) cropped to 1260 x 1260 pixels. Image taken through the clouds in the sky glow of Portland, OR. Notice the clouds were uneven and darker thourgh the center/right of the Moon.